Faqs - SIA Wildlife Control Inc. 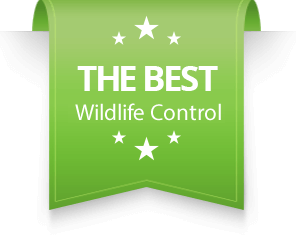 Many of our callers ask us specific questions about pest or wildlife control services. Here, we list the most popular questions and answers to each of them. I FOUND A SICK, INJURED, ORPHANED ANIMAL, WHAT SHOULD I DO? If it’s safe and you are able to, you can take the animal to a wildlife rehabilitation center. Once you find the appropriate center, you can take the animal there for treatment. If you’ve found a vicious animal which appears to be sick dial 311 (416-392-CITY (2489) and ask to be directed to the city animal control service. DOES SIA WILDLIFE CONTROL TAKE CARE OF SICK OR INJURED ANIMALS? We are not equipped or trained to treat sick or injured animals. SIA Wildlife Control does not provide medical treatment or rehabilitation services to sick or injured animals. DO YOU REMOVE DEAD ANIMALS FROM A PROPERTY? Yes, we remove carcasses from anywhere within the Greater Toronto Area. DOES THE CITY PROVIDE WILDLIFE CONTROL SERVICES FOR FREE? Yes, the city is responsible for dangerous or sick wildlife problems on public property. However, they do not respond to wildlife issues arising in private properties such as your attic or backyard. For a wildlife issue and removal services from a private property such as your home, companies like us exist to provide those services to you. DO YOU CLEAN UP RACCOON FECES (POO, DROPPINGS) / SQUIRREL DROPPINGS? The clean up of raccoon feces is a dangerous task. One that may be fatal if not handled properly with the right equipment. SIA Wildlife Control does not provide cleaning services. Learn more about Baylisascaris Procyonis to find out why you should hire a professional cleaning company that specializes in raccoon feces cleanup. THERE IS A RACCOON IN MY BACKYARD, DOES IT HAVE RABIES? Finding a raccoon in your backyard during daylight hours does not necessarily mean they have rabies. They could be there for a number of reasons from hunger to recently being homeless, looking for grubs or potentially sickness. Raccoons that have rabies will be vicious for no visible reason at a constant. Some of their behaviour will include; Biting of immobile objects such as chair legs, the air around them as if biting a fly, drooling or foaming and showing no signs of fear towards humans. Do not approach wildlife and certainly do not approach if you believe the animal may have rabies. Call for help! IF I LEAVE RACCOONS INSIDE AN ATTIC OR UNDER A DECK WILL THEY EVENTUALLY LEAVE? Yes and no. Raccoons in any given neighborhood have between 3 to 5 shelters. One shelter may be your deck, a second your neighbor’s attic etc. Raccoons will remember all of their homes and regularly move in between them. The behaviour is for comfort based on the season and their survival instincts. Because of territorial disputes, raccoons have multiple homes to retreat to. Lastly during baby season a raccoon will choose the best warmth and safe shelter for giving birth. If your home was a place of birth for raccoons, the raccoons will return daily, weekly, monthly and eventually yearly to have babies of their own. Look at our prevention section to learn how to defend your home. CAN RACCOONS / SQUIRRELS DO ANY DAMAGE IN THE ATTIC? Yes. Raccoons are not as destructive as squirrels, but they do tend to damage objects that are directly in their way. Unlike squirrels who chew everything they come in contact with, raccoons only damage necessity objects. If you have a pot light that is blocking their path in the soffit, they may destroy it to make room for mobility. Raccoons are notorious for damaging soffits on the roof to gain entry, ventilation caps and roofline edges. Some of their habits are to scratch and destroy the styrofoam on the attic hatch and displace insulation with their massive bodies. Lastly raccoons may choose a latrine area inside your attic to do their business. Chewed wiring in the attic may potentially lead to an electrical fire within the attic. There is no hidden or after fees with SIA Wildlife Control. A technician will present to you the amount that needs to be paid when the technician inspects your home. Contracts are available for Pest Control services as they are an on-going service but are not necessary. You can choose to call in for your pest control service and pay as you go. WHAT'S INCLUDED IN THE FIRST TREATMENT? A full home inspection which reveals the amount of pest problems and how to deal with them. In an event where extermination is required, a technician may use several methods for control; monitoring stations, snap traps, and high quality regulated poisons. Pest Control is an ongoing service, which requires several visits to control pest problems. A technician will then quote you and give you a discount on future visits to remedy your pest problem. WHY CAN'T YOU EXTERMINATE ALL THE MICE OR RATS AT ONCE? Every property is built different, but all properties require the bare minimum for functionality. For example breathers for the wall voids on the exterior of a home, are perfect entry points for rodents and blocking them can cause health hazards to your family because trapped air and moisture can cause mold. There are ways to block these areas while still allowing functionality, however mice and rats will always find a hidden gap to get into a home. For these reasons, rodents will always find a way back into a home eventually and reproduce if not dealt with. WHY CAN'T I USE MY OWN POISON FROM WALMART OR HOME DEPOT? High quality and effective pesticides are regulated in Canada through the Ministry Of Environment / PCPA. Persons without licensing cannot purchase, use or distribute pesticides in these controlled categories. A licensed technician must know when to use pesticides, how much and where and follow a strict set of rules and monitoring which are mainly safety of the environment, people and properties. Poison(s) which can be acquired from contemporary shopping stores are not potent enough to solve pest problems in a home. They may kill a few rodents here and there, but ultimately the rodents will build up an immunity to the product and will be much harder to exterminate in the future. Simply call or click the “get a quote” button on the banner of the website, fill out the quick form and a technician will contact you shortly. We can’t guarantee same-day bookings as we may be fully booked. But, depending on the day, we may be able to meet this requirement. Yes, during wildlife removal, a SIA Wildlife Control technician may need access to your attic through the house. Because of the nature of animals, technicians will have recommendations for preventative measures on your home and you will need to be there to make decisions based on what is presented to you. Prevention is optional, and the technician will present pictures and videos to you which is best understood face to face. HOW MUCH DO YOU CHARGE FOR WILDLIFE REMOVAL OR PEST CONTROL SERVICES? Our prices vary depending on your located city and the size of the problem in terms of entry points. Generally our technicians can give an exact quote for a specific work on the phone. Get in touch with us to find out how we can solve your problem and know your price range. DOES MY TECHNICIAN ARRIVE AT THE EXACT TIME I BOOK? Yes, most of the time. We always book our clients within 2 hour windows. This is to compensate for traffic and weather conditions. In a situation where a technician will be late, you will be contacted and informed on a new ETA (Estimated time of arrival). You will be charged after the pest control or wildlife removal service has been completed on the same day. We accept Visa, Debit, Master Card and Cash.